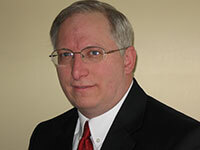 Steve Garchow is a seasoned business professional with over 30 years of experience in strategy, marketing, and product development in the medical device and diagnostics segments. He has directed more than 20 product and service launch campaigns and numerous strategic planning initiatives. Foresight works with a carefully selected group of experts to ensure that your project is staffed with the expertise necessary to drive the best results for clients.